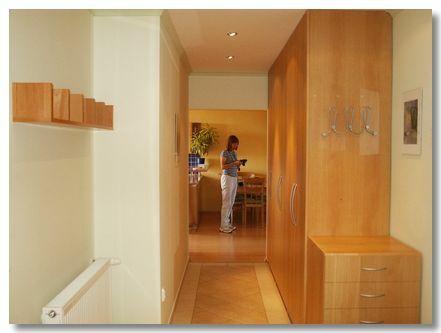 Karen has got this particularly stylish flat in Bratislava. 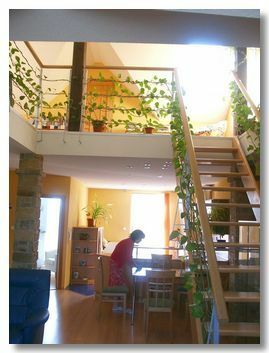 It is very convenient for the main railway station as well as walking into the city centre. 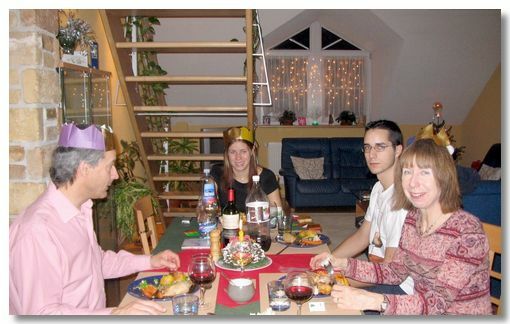 Some of these photos were taken at Xmas 2005 & others in earlier visits. Ann getting ready to take photos in the new flat. 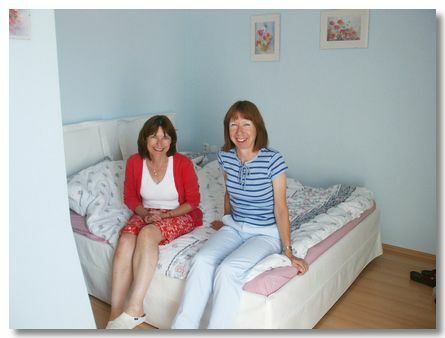 Karen & Ann testing out the new bed - from the local Ikea (you can't get away from them can you?). The local Tesco's is nearby as well. 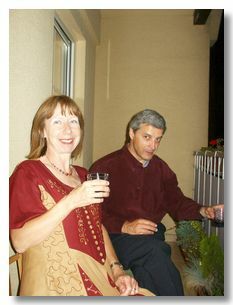 Ann & I celebrating on Karen's balcony. We spent Xmas at Karen's, which made a great change. Xmas-eve is the big meal - not Xmas day. Here am I, Eleanor, Ian & Ann. 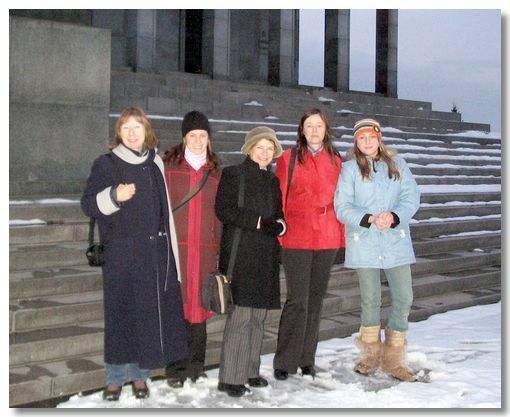 Ann, Eleanor, Karen, Dagmar & Louisa. We're at the Slavin Memorial. Great views over the city from here - on a clear day. 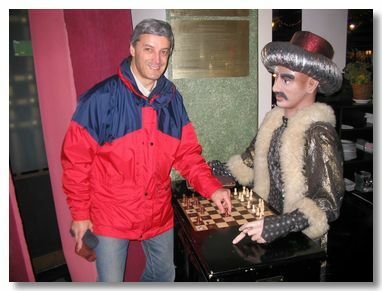 Roland Restaurant with the copy of Baron Von Kemplen's Turk Chess Automaton. We could hardly pass this cafe, without checking it out!